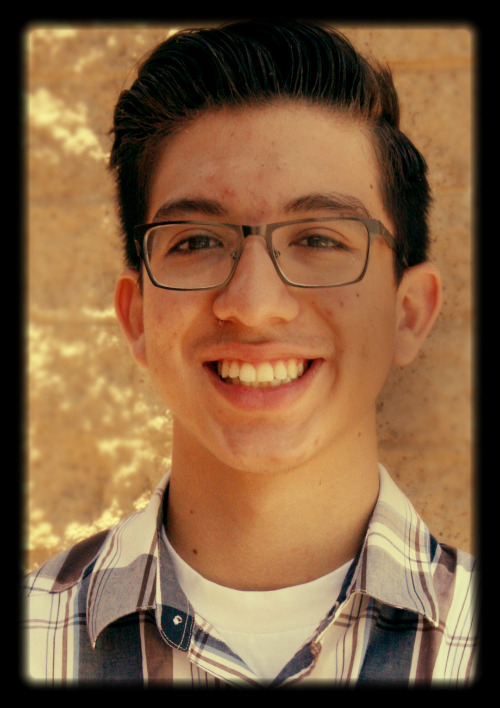 A student's story of struggle and triumph to reach his potential on the SAT. Last year Test Prep Gurus awarded more than $30,000 in 1-on-1 test prep scholarships to prepare students for the ACT and SAT. Test Prep Gurus works closely with several independent high schools and the A Better Chance foundation to identify high-achieving students in need. The following piece tells the story of Anthony Palacio, recipient of a Test Prep Gurus scholarship. As a naturally gifted student in a public middle school, Anthony Palacio earned grades that put him at the top of his class. The A Better Chance foundation saw his potential and identified him as a student with all the promise of a bright future if given the requisite support and access to financial resources. Through the foundation, previously unavailable options opened up for Anthony. He soon visited The Webb Schools, an elite boarding school in Claremont, California. “As soon as I saw Webb, I fell in love with it. I only wanted to go there,” said Anthony. He lived up to his potential at Webb, earning nearly straight A’s, enrolling in multiple AP courses, and excelling on the school’s debate team. However, despite his strong grades and natural talent, Anthony’s counselor told him that he needed a SAT score of at least 1400 in order to be considered by the country’s most selective colleges. To put Anthony’s task in perspective, a score of 1400 on the SAT is only achieved by 3% of students across the nation. Anthony’s college counselor at the Webb Schools suggested he apply for a Test Prep Gurus scholarship. On the basis of an excellent essay and a sterling recommendation from his counselor, Test Prep Gurus awarded Antony a scholarship to cover the costs of a 12-week 1-on-1 tutoring package. Anthony’s first diagnostic SAT practice test posted a total score of 1290. This score would be more than acceptable for the majority of schools across the country; however, given Anthony’s lofty ambitions for college (his list would include a realistic “reach” for Yale if he could improve his scores), it fell far short of his counselor’s recommended minimum score of 1400. Test Prep Gurus assigned Anthony one verbal tutor and one math tutor, each of whom had scored a perfect 800 on their respective sections of the SAT. Anthony admitted that when it came to math he was besieged by “a sense of desperation.” However, his math tutor showed him how to avoid numerous traps on the math section, as well as how to utilize his strong problem-solving skills to answer a number of challenging problems using very little math at all. The tutor also observed that Anthony omitted too many questions. To many students, skipping questions seems like a logical strategy, as the SAT penalizes test takers a quarter of a point for incorrect answers, but does not penalize them for omitted questions. However, Test Prep Gurus encourages students in Anthony’s ability range to guess aggressively. Even though an incorrect answer reduces a quarter of a point, a correct answer adds a full point. In other words, it takes four incorrect answers to negate a single correct answer. Anthony was encouraged to think about each question as an opportunity to gain points, rather than lose them. Utilizing this strategy, Anthony gained confidence in his ability to whittle down even the most difficult math questions to a limited number of likely answer choices and make educated guesses accordingly. Anthony’s verbal tutor quickly noted that Anthony struggled with a number of subject/verb agreement problems on his mock SAT exam. “Anthony left quite a few points on the table with his initial essay. He consistently generated excellent evidence to support his essay theses; however, he often fell short when it came to explicitly connecting his examples to his theses. He also had a habit of assuming that his reader held the same basic assumptions that he did.” They immediately set to work to correct these issues. Six weeks into the program, Anthony’s ability to read quickly (with increased retention) had markedly improved. As a result, he required increasingly less time to finish the verbal sections. In fact, he began to finish each twenty-five minute verbal section with five or more minutes left to spare during his practice exams. His tutor then encouraged Anthony to adjust his approach by intentionally slowing down in order to use all of the time at his disposal to ensure that he did not make any avoidable mistakes or fall into any of the typical SAT traps contained in the verbal sections. Heeding the advice of his tutor and believing in the methodology he had learned through Test Prep Gurus, Anthony powered through the official exam and hoped for the best. About three weeks later, Anthony received a message from Test Prep Gurus informing him that his scores were available online. With his friends gathering around his phone, Anthony jumped online to look at his scores. 1500! The score placed Anthony in the top 1% nationally. He had improved 210 points, a sizeable improvement for anyone, but especially impressive given Anthony’s initially strong starting score. He scored 11 out of 12 on his essay, broke 700 on the math portion for the first time, and scored a perfect 800 on the Critical Reading. With his friends celebrating alongside him, Anthony called both his parents. When Anthony’s father heard the news, he couldn’t help but release a thrilled outburst on the sales floor of his workplace, gushing with pride and unable to contain his excitement. Anthony hasn’t yet decided which school he wants to attend, but he will surely have plenty of outstanding options to find the right fit for him. His list of potential schools includes Boston College, Tufts, Georgetown, and Yale. We’ll find out soon exactly where he’ll be admitted, but as of right now, all doors are open! By the end of his program Anthony scored in the top 1% of the country! Newer PostIf you take the new SAT in March, you won't get your scores back until...the end of MAY? !